With many agents now using similar methods and platforms upon which to advertise properties, how do you know which is the right agent for you? It’s worth knowing that whenever you pick up the phone or send an email to View, whatever your query or need might be you will be communicating with someone with at least 10 years’ experience. We're pretty (completely) obsessed with property and take huge satisfaction in maximising your property’s full potential and rent return. A well-oiled machine... it's how we do business! Below you will find our main levels of service provided but remember, your involvement as a landlord can be as much or as little as you choose, depending on your circumstances - we can alter our service to suit your individual needs. In any instance, please refer to Safety and Regulations. 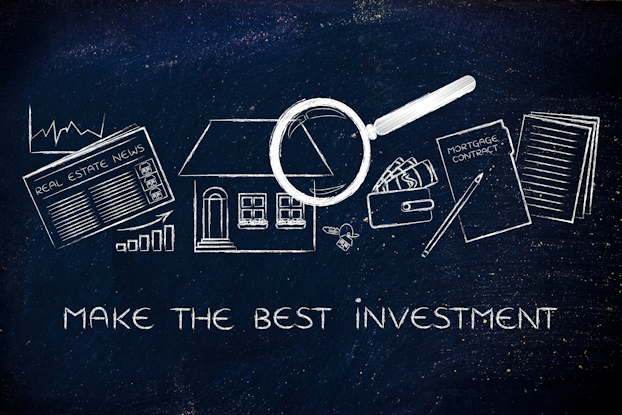 Assess the property in the first instance and provide a rental valuation in line with the current market. Traditional marketing approaches such as the use of bold 'To Let' boards. Optimisation of social media via Facebook and Twitter. Regular emails to prospective tenants via our extensive customer database. Accompanied viewings of the property at a time that suits you. Drawing up a legally binding tenancy agreement, in line with current legislation. Notifying utility companies of commencement of a new tenancy at your property, giving new meter readings. If requested, providing a photographic inventory of property (at an additional cost to landlord). This will be used to check new tenants into the property - they will be required to sign the document, agreeing the contents and condition of the property. Collecting the first month's rent and deposit, otherwise known as the bond. This will be credited to your account minus an agreed fee. Property management can definitely be stressful but we can take the that out of it for you by offering our full management service. All maintenance work and prices will be agreed with you before being undertaken. Providing a photographic inventory of property (free of charge). This will be used to check new tenants into the property - they will be required to sign the document, agreeing the contents and condition of the property. . The inventory will also be used alongside a check-out inspection as and when the tenancy agreement expires and gives you peace of mind that your property will be looked after. Protecting the bond via the government approved tenancy deposit scheme, The DPS. Periodic inspections of the property, conducted on a quarterly basis. Collecting and processing rental payments. These will be credited to your nominated bank account within 2 working days of cleared funds being received by us. Renewal of tenancy agreement if required and re-protection of bond. On your instruction, remarketing your property at the earliest opportunity should it become vacant. The cost for our Lettings and Full Management Service is 10% of rental price (no VAT), deducted from the monthly rent each month. We are able to offer a discounted tenant find fee of 25% of the rental price (deducted from the first month’s rent with no VAT). This includes all of the benefits of our Let Only and Lettings and Full Management Service but even if tenant is late making payment, you still get your rent. In line with Section 83 of The Consumer Rights Act 2015 and our membership of The Property Ombudsman, please find a full list of our fees below. Please be advised that we are not VAT registered.